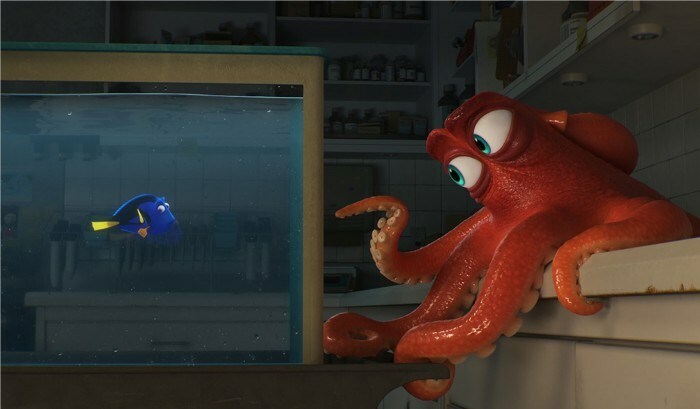 Disney has announced that they will be celebrating the theatrical release of Finding Dory with a spacial Dory After Dark event in 90 movie theaters which will include a double feature of Finding Nemo and the new sequel, alongside some swag. Hit the jump to find out more about the Dory After Dark events and where you can buy tickets. The Dory After Dark events will take place on Thursday June 16th 2016, the day before Finding Dory officially opens in theaters. The one-night event will take place at 90 locations across North America and will include a screening of both movies and guests will receive some Finding Dory swag: a Dory After Dark reusable bag and an “I Speak Whale” button. I’m not sure how many people reading /Film necessarily care about this but there will also be custom Snapchat filters available to make your social network friends who didn’t buy tickets jealous. Here is a complete list of screening locations for Dory After Dark. Please note that the times of the screenings will vary by location and that you might want to act fast as tickets are on sale now. How excited are you for Dory After Dark? Tell us in the comments! The post Dory After Dark: Finding Nemo/Dory Double Feature Event Announced appeared first on /Film.